Cozy up with this Grape Upside Down Cake using black grapes and syrupy balsamic vinegar. The vanilla cake is made with extra virgin olive oil and rosemary. Sponsored by California Grapes. As the days shorten and the weather cools, I am soaking in everything that I love about fall. And since San Diego doesn’t instill fall-like images of trees laden with coats of red and gold leaves, I look for fall in the produce aisle! There’s one fruit I enjoy cooking with that you may not associate with autumn: grapes from California. 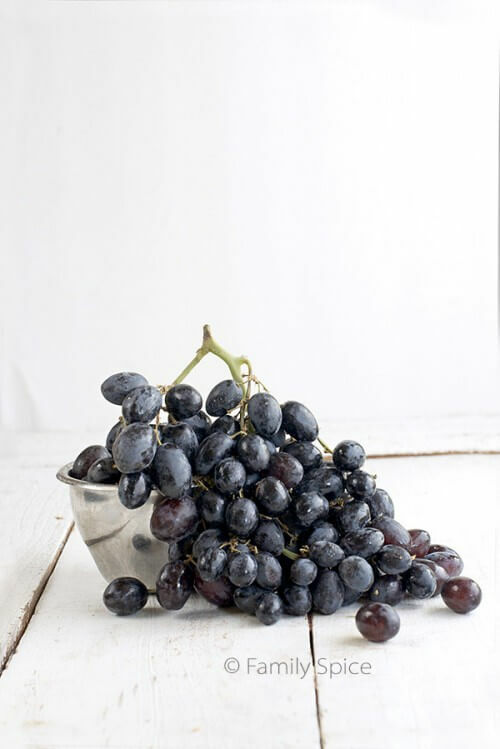 Grapes are a natural source of antioxidants and other polyphenols that may contribute to a healthy heart. My kids love them cold, rinsed, right out of the fridge, straight off the stem. And since they are available May through January, there’s no excuse not to include them in your menu. We all enjoy fresh picked grapes. They can be thrown into green salads and are great simply dipped in chocolate. But have you ever cooked or baked with grapes? Grapes sweeten when roasted and they bake beautifully. 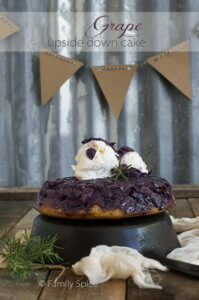 So when I was asked to develop a dessert using California Grapes, I decided to make a Grape Upside-Down Cake. Believe it or not, this cake is super easy to assemble and requires minimal cake decorating skills. Those are two essential requirements for my baking recipes! 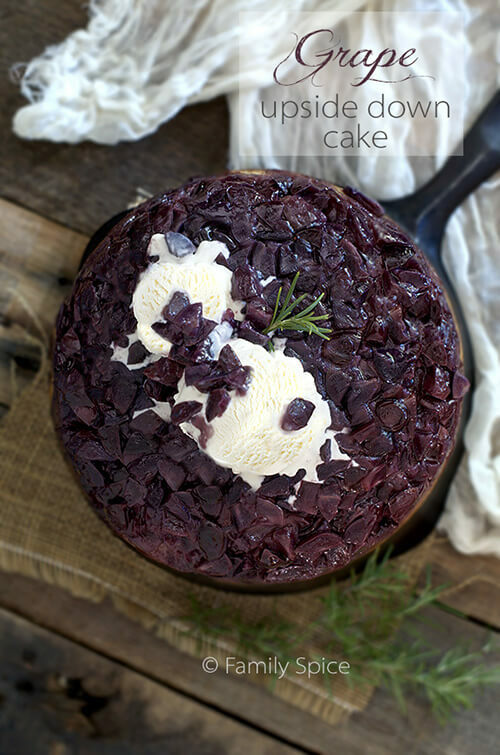 Black grapes turn a stunning purple hue when cooked and make a sweet topping on the vanilla cake. I always like to add a special twist, so some thick, syrupy balsamic vinegar was added to the grapes, and the cake included a hint of rosemary. Not all desserts for the holidays need to be a high maintenance pie. Coarsely chop the grapes, roughly quartering them, and reserve. Cook until sugar has dissolved into the butter and starts to melt. Stir in the grapes and cook until softened, about 3 minutes. Gently press down on the grapes with a spatula to release some of the juices. Mix flour mixture into yogurt mixture and whisk until combined. Slowly pour batter over the grapes, using a rubber scraper to spread the batter evenly. Place cake in the oven and cook for 30 minutes, or until a toothpick inserted into the center of the cake comes out clean. The top of the cake will be lightly browned. Allow cake to cool for 15 minutes in the pan. Run a knife blade along the sides of the cake to insure a clean removal. Place cooling rack over the cast iron skillet and carefully invert the cake. Keep the skillet over the cake until the cake cools, about 30 minutes. Slowly remove skillet and allow cake to finish cooling to room temperature, about 30 more minutes, before serving. Serving Suggestions: Serve alone or with a scoop of vanilla ice cream. Cooking Tips: Green and red grapes can also be used for this cake, but the color may turn out a little... off. Get more fall grape inspiration on November 18th at 9pm EST during the “Fall in Love with Grapes” Twitter party. We will share grape facts and quiz you for a chance to win a $50 gift card. For example, we may ask you something simple like “Fresh California table grapes are available from May through what month?” You can find the answer to this and all other trivia questions during the party at GrapesfromCalifornia.com. Follow the fun at #GrapesfromCA. Be sure to register here to be eligible to win. Disclosure: As part of the Kitchen PLAY Community, I was paid a stipend to develop a recipe for California Grapes. All of the opinions I expressed here are my own. If I didn’t like it, I wouldn’t blog about it. What a nifty cake! I can imagine that sweet/tart taste before I even try it. I hope grapes come into season in a hurry. We bake with grapes a lot. 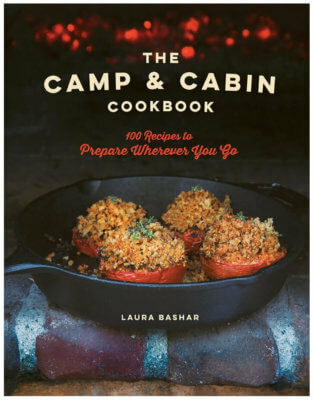 Savory dishes? Not so much for some reason — should work on that. But first I need to work on this cake! Really nice — thanks. Thank you! I hope you able to try it, too!